Note: On Sunday, March 18, guest Gary Witherall joins us for all three services. Gary is a friend with whom I have discussed subjects like suffering, discipleship, and martyrdom many times - hence the choice of topic here. The following blog post has discussion questions at the end and is meant to replace our usual sermon studies. In addition, small groups can feel free to discuss the previous week's sermon from the Gospel of John series. In the day of the Roman Empire, the cross was an odious and intolerable symbol inextricably linked to death by crucifixion. Though in Finland it is unlikely, for some Christians, the call to die could mean a call to literal death through martyrdom. But for all of us, the call to follow Jesus is a call to die, to deny self. In this way, dying to self is a daily call that touches all aspects of our lives. Often it will be played out in the simple tasks of life, like helping a neighbor to move house. A friend of mine is an influential professor of theology and pastor in the United States. Many listen to him, read him, and seek him out for spiritual advice daily. One day, after having helped many people, he left work feeling rather good about himself. When he arrived home, his wife opened the door and his wife handed him the trash to take out. Instantly, he was reminded of his need die to self. 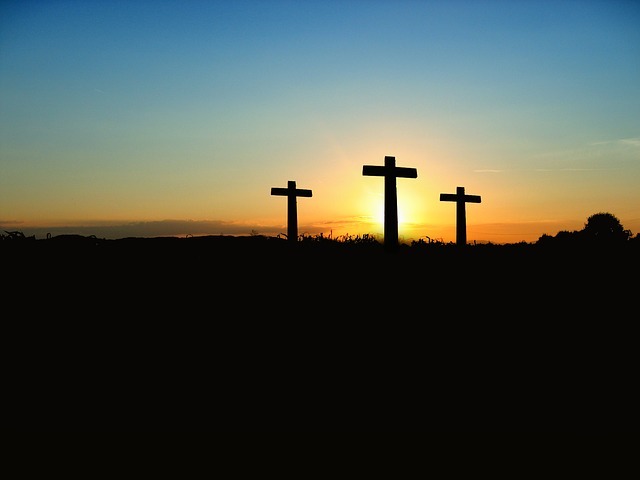 Dietrich Bonhoeffer wrote in his classic book The Cost of Discipleship, “when Christ calls a man, he bids him come and die.” In the Gospels, Jesus frequently links discipleship—the taking up of one‘s cross—with his own cross. In Matthew 16, Mark 8, and Luke 9, where Jesus calls for his disciples to carry their cross is recorded, it is in each case preceded by a prediction of Jesus’ own suffering on the cross. Richard Niebuhr once quipped that people believe that “a God without wrath brought men without sin into a kingdom without judgment through the ministrations of a Christ without a cross.” Many people, from unbelievers to those of other religions, may be attracted to Jesus’ life and ethical teachings. But merely imitating the external character of Christ does not make one his disciple. Jesus said if you want to be his disciple, you will imitate him in taking up your cross. It is very much Paul’s pattern to link instructions for Christian conduct with the cross as the central motivation. For example, later in the book of Ephesians when Paul is telling husbands to love their wives, he urges them to do it “as Christ loved the church and gave himself up for her” (Ephesians 5:25). No subject seemed to be off limits for cross-motivated activity. In encouraging the Corinthian church to generous giving, Paul again calls the believers to consider the cross (2 Corinthians 8:9). Similar examples abound. No matter the subject, the cross forms the basis of Paul’s teaching on conduct. He goes on to exhort specific groups of believers: slaves, wives, wives of unbelieving husbands, and so on. At the center of this section is the example of Christ in 2:20-25. In John’s Gospel and his epistles, love is defined by the cross. Christ’s love for us, in his sacrificial giving of himself, is our model as we seek to live a life of love. The laying down of our lives for others does not only imply the possibility of death, but also a life of other-oriented service even in the small things. Cross-carrying self denial can sound like a rather abstract command, but it is important that we grow in our understanding of how to live it out in our lives. How would you apply it in the following situations?